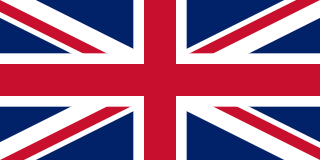 The British people, or the Britons, are the citizens of the United Kingdom of Great Britain and Northern Ireland, the British Overseas Territories, and the Crown dependencies. British nationality law governs modern British citizenship and nationality, which can be acquired, for instance, by descent from British nationals. When used in a historical context, "British" or "Britons" can refer to the Celtic Britons, the indigenous inhabitants of Great Britain and Brittany, whose surviving members are the modern Welsh people, Cornish people, and Bretons. It may also refer to citizens of the former British Empire. Toyota Motorsport GmbH is a fully owned and controlled entity of the Japanese automobile manufacturer Toyota Motor Corporation, based in Cologne, Germany. It employs around 200 people in a 30,000m2 factory and provides motorsport and automotive services to fellow Toyota companies and to outside clients. The FIA World Endurance Championship is an auto racing world championship organized by the Automobile Club de l'Ouest (ACO) and sanctioned by the Fédération Internationale de l'Automobile (FIA). The series supersedes the ACO's former Intercontinental Le Mans Cup which began in 2010, and is the first endurance series of world championship status since the demise of the World Sportscar Championship at the end of 1992. The World Endurance Championship name was previously used by the FIA from 1981 to 1985. Davidson was the 2014 WEC World Champion, alongside his teammate, Sébastien Buemi. Hemel Hempstead is a historic town, later developed as a new town, in Hertfordshire, England. Located 24 miles (39 km) northwest of London, it is part of the Greater London Urban Area. The population according to the 2001 Census was 81,143, and at the 2011 census was 94,932. Developed after the Second World War as a new town, it has existed as a settlement since the 8th century and was granted its town charter by King Henry VIII in 1539. It is part of the district of Dacorum and the Hemel Hempstead constituency. Hertfordshire is one of the home counties in England. It is bordered by Bedfordshire to the north, Cambridgeshire to the north-east, Essex to the east, Buckinghamshire to the west and Greater London to the south. For government statistical purposes, it is placed in the East of England region. In 2001, Davidson competed in the British Formula Three championship with the Carlin team, finishing second overall to teammate Takuma Sato. His performance improved throughout the season and he outscored Sato from June until the season's end. He also won the Formula Three Pau Grand Prix, the Spa Masters  and the FIA European Cup. Formula Three, also called Formula 3 or F3, is a class of open-wheel formula racing. The various championships held in Europe, Australia, South America and Asia form an important step for many prospective Formula One drivers. Formula Three has traditionally been regarded as the first major stepping stone for F1 hopefuls – it is typically the first point in a driver's career at which most drivers in the series are aiming at professional careers in racing rather than being amateurs and enthusiasts. F3 is not cheap, but is regarded as a key investment in a young driver's future career. Success in F3 can lead directly to a Formula 2 seat or even a Formula One test or race seat. Carlin, formerly Carlin Motorsport, is a motor racing team based in the United Kingdom. It currently competes in seven championships: FIA Formula 2 Championship, FIA Formula 3 Championship, F4 British Championship, Euroformula Open Championship, IndyCar Series and Indy Lights. British American Racing was a Formula One constructor that competed in the sport from 1999 to 2005. BAR began by acquiring Tyrrell, and used Supertec engines for their first year. Subsequently, they formed a partnership with Honda which lasted for the next six years. Minardi was an Italian automobile racing team and constructor founded in Faenza in 1979 by Giancarlo Minardi. It competed in the Formula One World Championship from 1985 until 2005 with little success, nevertheless acquiring a loyal following of fans. In 2001, to save the team from folding, Minardi sold it to Australian businessman Paul Stoddart, who ran the team for five years before selling it on to Red Bull GmbH in 2005 who renamed it Scuderia Toro Rosso. He was not given a chance to race in 2003 and remained as test driver at BAR. Race drivers were Jacques Villeneuve and Davidson's countryman Jenson Button who joined the team from Renault. When Takuma Sato was promoted to the race team following the departure of Villeneuve, it presented Davidson with the opportunity to become third driver. This was especially useful in 2004 as BAR were able to run a third car in Friday morning testing, which became Davidson's duty. He frequently impressed with his pace, other teams frequently taking note of his consistent lap times for tyre degradation data. e.g. at Indianapolis he set the second fastest lap time in Friday practice after 19 laps. The 2003 FIA Formula One World Championship was the 57th season of FIA Formula One motor racing. It began on 9 March 2003 and ended on 12 October after sixteen races. World Championship titles were awarded for both drivers and constructors with Michael Schumacher winning the former and Ferrari awarded the latter. Jacques Joseph Charles Villeneuve is a Canadian professional auto racing driver and amateur musician. He is the son of Formula One driver Gilles Villeneuve, and is the namesake of his uncle, who was also a racer. Villeneuve won the 1995 CART Championship, the 1995 Indianapolis 500 and the 1997 Formula One World Championship, making him only the third driver after Mario Andretti and Emerson Fittipaldi to achieve such a feat. As of 2018, no other Canadian has won the Indianapolis 500 or the Formula One Drivers' title. Jenson Alexander Lyons Button is a British racing driver and former Formula One driver. He won the 2009 Formula One World Championship, driving for Brawn GP. Button announced in September 2016 that he would be giving up his seat at the end of the 2016 season but remained at McLaren as a reserve driver and ambassador of McLaren until 2018. He currently competes in the Japanese Super GT Series driving for Team Kunimitsu, in which he won the title in 2018. In November 2004, BAR announced that it had failed to come to an acceptable contractual agreement with the Williams team to allow Davidson to drive for Williams in 2005 because Williams would not agree to his unconditional "repatriation" to BAR in 2006. [ citation needed ] Given BAR's long-term contract on Davidson, his chance of securing a race seat for 2005 was therefore called into serious doubt. He was given the opportunity to fill in for an unwell Sato at the 2005 Malaysian Grand Prix, but his engine expired just two laps into the event. 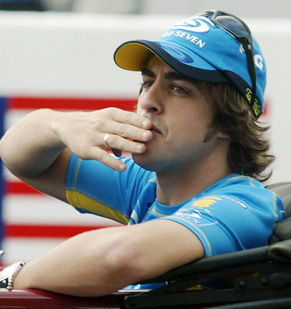 Davidson as Honda's third driver at the 2006 United States Grand Prix. Davidson driving for Super Aguri at the 2007 Brazilian Grand Prix. On 15 November 2006, Super Aguri confirmed that Davidson would partner Takuma Sato for the 2007 Formula One season. Thus, he became a regular Formula One driver for the first time. At the 2007 Canadian Grand Prix Davidson was running third when his car struck a groundhog on the straight before the pits, ultimately putting him back to 11th place and ending his bid for his first career points. At the Hungarian Grand Prix Davidson's rear suspension was broken during a collision with Giancarlo Fisichella, which forced him to retire. Davidson finished the season in 23rd place having scored no points. Davidson driving for Super Aguri at the 2008 Malaysian Grand Prix. Davidson was announced as a Honda test driver for the remainder of 2008. On 5 December 2008 Honda pulled out of Formula One due to financial problems. Ross Brawn bought out the team and formed Brawn GP and Davidson signed on as a test driver. On 16 November 2009, engine suppliers Mercedes-Benz bought out Brawn GP and renamed the team Mercedes GP. Davidson continued in his role as reserve and development driver. Davidson was linked with incoming teams Virgin and Lotus for the 2010 F1 season. However, Davidson did not secure a 2010 race seat in F1, and instead turned his focus to racing sports cars. In F1 he continued his long-standing relationship with the Brackley-based Mercedes F1 Team, combining duties as reserve and simulator driver in 2010 and 2011, and continuing his simulator role into 2012 and 2013. Davidson at Road Atlanta for the 2011 Petit Le Mans race. Davidson raced for the Aston Martin Racing team in the 2009 24 Hours of Le Mans, alongside Darren Turner and Jos Verstappen. His team drove Lola-Aston Martin B09/60 in the LMP1 class, which finished 13th overall in the race. He returned in the 2010 edition, driving for defending champions Team Peugeot Total alongside Alexander Wurz and Marc Gené. The trio warmed up for Le Mans by leading a Peugeot 1–2 in the 2010 12 Hours of Sebring. However, in the Le Mans race his Peugeot car had an engine failure while leading. Following Le Mans, Davidson raced at the 2010 6 Hours of Silverstone with Nicolas Minassian and secured victory for Peugeot Sport. In October 2010, Davidson secured pole position at Petit Le Mans, and went on to finish second with teammates Alex Wurz and Marc Gené. In 2011, racing the 908 for Peugeot Sport, Davidson along with Wurz and Gené, won the 6 Hours of Spa, and finished 4th at the Le Mans 24 Hours. Teaming up with Sébastien Bourdais, Davidson went on to win the 6 Hours of Imola, and the 6 Hours of Zhuhai, victories which helped Peugeot Sport secure the Intercontinental Le Mans Cup (ILMC) Championship for the second year running. In 2013, Davidson continued driving with Toyota for a full season and ended with third place in the drivers' championship. For the 2014 season he remained with the Toyota works team and drove Toyota's new car, the Toyota TS040 Hybrid. During the year he won four races and finished third in the 2014 24 Hours of Le Mans, and became 2014 World Endurance Drivers' Champion alongside co-driver Sébastien Buemi. The following two years were less successful, yielding only two third-place finishes and championship finishes in fifth in 2015 and eighth in 2016. The 2017 FIA World Endurance Championship season showed an improvement in form, and Davidson and his co-drivers took five victories and one further podium finish for the Toyota team during the campaign. However, the performance of the Porsche team, a sixth-place finish at Le Mans, and missing the 2017 6 Hours of Circuit of the Americas due to "personal reasons",  contributed to Davidson finishing the season only third in the drivers' championship standings. Despite his 2017 performance, Davidson was the crew member of the number 8 Toyota entry who was moved aside to allow Fernando Alonso to contest the 2018–19 FIA World Endurance Championship. Toyota switched Davidson backward into a test and reserve role, and he didn't compete in the first two races of the 'superseason', including the 2018 24 Hours of Le Mans. He made his first race appearance in 2018 at Silverstone, driving in the LMP2 class for American team DragonSpeed, where he finished fourth in class. He commentated alongside Croft for the 2017 Hungarian Grand Prix to cover for Paul di Resta who was needed by Williams to cover for the ill Felipe Massa. Di Resta was himself covering for regular commentator Martin Brundle who was absent through illness with the same condition that afflicted Massa. In the studio for 2013 USA Grand Prix qualifying Davidson admitted that his design was inspired by Eddie Cheever's helmet. When he was in the early days of his career he saw the picture of Cheever's helmet and together with his father who is a graphic designer did the design he has been using for most of his career. On 11 August 2006, Davidson married his girlfriend Carrie in Banbury, Oxfordshire. The couple live in Brackley. His brother Andrew Davidson appeared in the first series of Big Brother in the UK. When Andrew was up for eviction in week two, housemate Darren nominated him giving the reason for the nomination, being that his brother had a race the following week and would want to leave the house to see him. Andrew was evicted that week. He was friends growing up with the late Dan Wheldon, who competed in Indy Car. † In addition to competing in the 2010 24 Hours of Le Mans race, Peugeot Sport only contested selected events in the 2010 Le Mans and American Le Mans Series. Christian Klien is an Austrian former Formula One racing driver. In total he has scored 14 points in Formula One. Klien currently competes full-time in the Blancpain GT Series. The 2002 Japanese Grand Prix was a Formula One motor race held at Suzuka on 13 October 2002. It was the seventeenth and final race of the 2002 FIA Formula One World Championship. The 2004 FIA Formula One World Championship was the 58th season of FIA Formula One motor racing. It featured the 55th FIA Formula One World Championship, which was contested over eighteen races which ran from 7 March to 24 October 2004. The championship was dominated by Michael Schumacher and Scuderia Ferrari Marlboro with the German driver winning the Drivers' Championship for the fifth consecutive year since 2000 and the Italian constructor winning the Constructors' Championship for the sixth straight season since 1999. Also notable were the success of BAR and Renault, and the relatively poor performance of Williams and McLaren. Aguri Suzuki is a Japanese former racing driver. He participated in 88 Formula One Grands Prix, and his most notable achievement in racing was 3rd place at the 1990 Japanese Grand Prix. Suzuki then became involved in team ownership, with interests firstly in the Japanese Formula Nippon Championship and the IRL in partnership with Mexican racer Adrian Fernandez. Most notably however, he was the owner of the Super Aguri F1 team, which participated in Formula One from 2006 to 2008. He then went on to form Team Aguri, which raced in Formula E from 2014 to 2016. Alexander Wurz is an Austrian former professional racing driver, driver training expert and businessman. He competed in Formula One from 1997 until 2007, and is also a two-time winner of the Le Mans 24 Hours. Stéphane Jean-Marc Sarrazin is a French professional racing driver. He has won races across a number of single-seater, sportscar and rallying disciplines and competitions, was French Formula Renault champion in 1994, and Le Mans Series champion in both 2007 and 2010. He has finished on the podium six times at the 24 Hours of Le Mans race, including four outright second positions, although he has never won. He participated in one Formula One Grand Prix, the 1999 Brazilian Grand Prix, for Minardi as a replacement for Luca Badoer, who had injured his wrist. He suffered a big spin in the race coming up to the start-finish straight on lap 31 and scored no championship points. He also carried out testing duties for the Prost Grand Prix team during the 1999–2001 Formula One seasons and for Toyota Racing in their first season in 2002. The 2006 FIA Formula One World Championship was the 60th season of FIA Formula One motor racing. It featured the 57th FIA Formula One World Championship which began on 12 March and ended on 22 October after eighteen races. The Drivers' Championship was won by Fernando Alonso of Renault for the second year in a row, with Alonso becoming the youngest ever double world champion at the time. Then-retiring multiple world champion Michael Schumacher of Scuderia Ferrari finished runner-up, 13 points behind. The Constructors' Championship was won by Renault, which defeated Ferrari by five points. James Rossiter is a professional racing driver from England. He is currently driving for TOM'S in Super GT and in Super Formula. Previously he was an F1 test driver for the Honda, Super Aguri and Force India Formula One teams. He has participated in karting, Formula Renault, British Formula 3 and Formula 3 Euro Series. His father, Jeremy, was also a racing driver. The 2006 Chinese Grand Prix was the sixteenth race of the 2006 Formula One season. It was held on 1 October 2006 at Shanghai International Circuit, Shanghai. The race was won by Michael Schumacher, driving a Ferrari, and would turn out to be the 91st and last victory of his long and distinguished Formula One career. It was also his last podium finish until the 2012 European Grand Prix, during his comeback to the sport. Kazuki Nakajima is a professional racing driver who drove in Formula One for the Williams-Toyota team from 2007 to 2009. Racing for Toyota Gazoo Racing since 2016, he won the 2018 24 Hours of Le Mans, and is currently leading the 2018 WEC championship after 2 races. Kamui Kobayashi is a Japanese professional racing driver who currently competes in the FIA World Endurance Championship for Toyota Gazoo Racing, and in the Super Formula Championship for KCMG. He also previously competed in Formula One, Formula E, the GP2 Series, and the GP2 Asia Series. The 2007 Japanese Grand Prix was a Formula One motor race held on 30 September 2007 at the Fuji Speedway, Oyama, Shizuoka. The 67-lap race was the fifteenth round of the 2007 Formula One season. It was held at the recently revised track in very heavy rain and misty conditions. For the previous 20 years, the Japanese Grand Prix had been held at Suzuka Circuit, but at this race it returned to Fuji for the first time since 1977. The race was won by McLaren driver Lewis Hamilton, who also took pole position and the fastest lap of the race. Heikki Kovalainen achieved his first podium, by finishing second for the Renault team, whilst Kimi Räikkönen finished in third for Ferrari. Adrian Sutil scored Spyker's first and only point by finishing 9th and being promoted to 8th after the race. AUTOBACS Racing Team AGURI (ARTA) is a joint racing project formed between former F1 driver Aguri Suzuki and Autobacs Seven Co. in 1997. The team's original name was "ARTA F1 Project," but due to trademark claims based on the usage of the word "F1", the name has since been shortened to "ARTA". ARTA was the 2007 SuperGT GT500 series champion in both the drivers' and team championship. ↑ "Anthony Davidson's Twitter Bio". Twitter. Retrieved 2010-07-23. 1 2 3 4 5 "Who's Who: Anthony Davidson". F1Fanatic.co.uk. 2006. Retrieved 2006-12-13. ↑ "BAR signs Anthony Davidson as test driver". GPUpdate.net. 2000-12-04. Retrieved 2011-01-30. ↑ "Right Here, Right Now". www.justinwilson.co.uk. 2008. Archived from the original on 13 November 2007. Retrieved 2008-05-06. ↑ "Davidson returns as Honda tester". BBC News. 2008-06-12. Retrieved 2010-04-25. ↑ "Davidson confirmed at Super Aguri". Grandprix.com. 2006-11-15. Archived from the original on 17 November 2006. Retrieved 2006-11-15. ↑ English, Steven (2010-02-22). "Davidson joins Peugeot for Le Mans". autosport.com. Haymarket Publications . Retrieved 2010-02-22. ↑ "Peugeot Takes 1-2 Finish at Sebring 12 Hours". American Le Mans Series. 20 March 2010. Archived from the original on 24 March 2010. Retrieved 27 March 2010. ↑ Dagys, John. "Davidson Lands Toyota Drive". Web. SPEED.com. Archived from the original on 14 February 2012. ↑ "Anthony Davidson in hospital after Le Mans 24 Hour race accident". BBC Sport . BBC. 16 June 2012. Retrieved 17 June 2012. ↑ Strang, Simon (17 June 2012). "Davidson sustains broken back following airborne crash at Le Mans". Autosport . Haymarket Publications . Retrieved 17 June 2012. ↑ "Stéphane Sarrazin to replace Anthony Davidson at COTA". FIA World Endurance Championship. 11 September 2017. Retrieved 15 September 2018. ↑ "Anthony Davidson joins Radio 5 Live's Formula One commentary team" (Press release). BBC. 2009-02-13. Retrieved 2009-02-13. ↑ "Davidson to continue BBC radio role". autosport.com. Haymarket Publications. 2010-02-06. Archived from the original on 9 February 2010. Retrieved 2010-02-06. ↑ "Sky reveal 2012 team". Sky Sports. 9 December 2011. Archived from the original on 26 April 2014. Retrieved 2 November 2014. ↑ "F1 2015 - ten reasons for gamers to get excited". Formula One . 5 May 2015. Retrieved 20 May 2016. Wikimedia Commons has media related to Anthony Davidson .